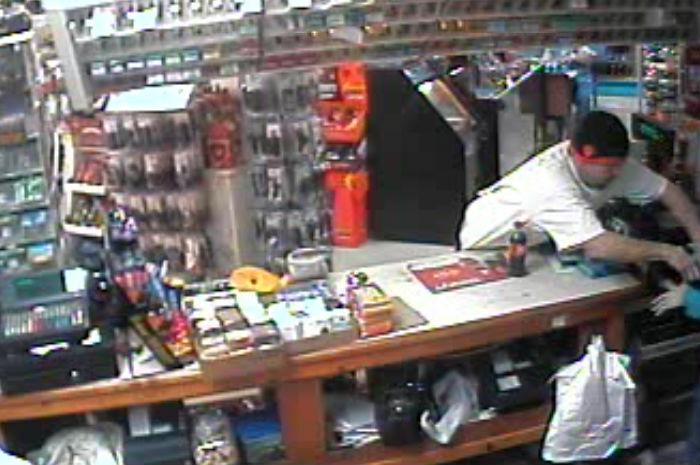 Georgetown deputies looking for an armed robbery suspect | Crime Stoppers of the Lowcountry: 554-1111 | 1-888-CRIME-SC | Anonymous tips earn cash rewards with Crime Stoppers of the Lowcountry. GEORGETOWN, SC (WCSC) – The Georgetown County Sheriff's Office is looking for a man who is wanted for an early morning strong armed robbery at a Georgetown Convenience Store. According to deputies it happened at around 1 a.m. Sunday at the Mini-Mart on High Market Street. Witnesses told deputies that the suspect identified as 32-year-old Jimmy Dale Cagle entered the store and walked to the cooler then to the counter, reached over and forcefully took an undisclosed amount of cash from the register. The suspect was last seen wearing blue jeans, white t-shirt and a black with red stripe toboggan. No one was hurt during this incident.